Here’s the answer: at least 3:1 to 5:1. Is there a universal ratio (P/N) of positive to negative communications, interactions and behaviors that predicts individual health, longevity, performance, relationship success and how team’s perform? Handwritten autobiographies from 180 Catholic nuns, composed when participants were a mean age of 22 years, were scored for emotional content and related to survival during ages 75 to 951. The autobiography was to contain no more than two to three hundred words and should be written on a single sheet of paper. The nuns were asked to include place of birth, parentage, interesting childhood events, schools attended, influences that led to the convent, religious life, and outstanding events. Their study revealed that the nuns whose autobiographies contained the most sentences expressing positive emotions lived an average of seven years longer than nuns whose stories contained the fewest. Further, lifespan increased by 9.5 years for nuns whose autobiographies contained the most words referring to positive emotions and by 10.5 years for nuns who used the greatest variety of positive-emotion words. When we use 360-degree feedback assessments we always include at least 1-2 open-ended questions at the end of the questionnaire asking raters about perceived strengths to leverage and behaviors the leader can do more, less or differently to become even more effective. Smither and Walker (2004) analyzed the impact of upward feedback ratings as well as narrative comments over a one-year period for 176 managers2. John Gottman (1994) followed 700 couples for 10 years and found that when there was less than a 5 to 1 positive to negative interactions in a videotaped interaction of fifteen minutes it predicted subsequent divorce with 90% to 94% accuracy3. Defensiveness: Expressions of righteous indignation (example: “It’s not my fault that we’re always late—you are the one holding us up”). Stonewalling: Emotional withdrawal from interaction (e.g., ignoring the other individual). Criticism predicted early divorcing (an average of 5.6 years after the wedding) and emotional withdrawal and anger predict later divorcing (an average of 16.2 years after the wedding). Fredrickson (2005) examined students’ month-long diaries and the positive/negative ratio of emotions seemed to differentiate those who were languishing from those who were high in psychological well-being4. She found that students who expressed a ratio of 3 times as many positive emotions than negative emotions reported significantly higher levels of life satisfaction and happiness than the other students. Over the years we have run developmental assessment centers that always have at least one leaderless group exercise. We can easily observe the differences between groups that appear to function effectively from those who don’t based on the communications and interpersonal behavior of the group members–not how smart any individual is or the collective experience or technical expertise of the members. 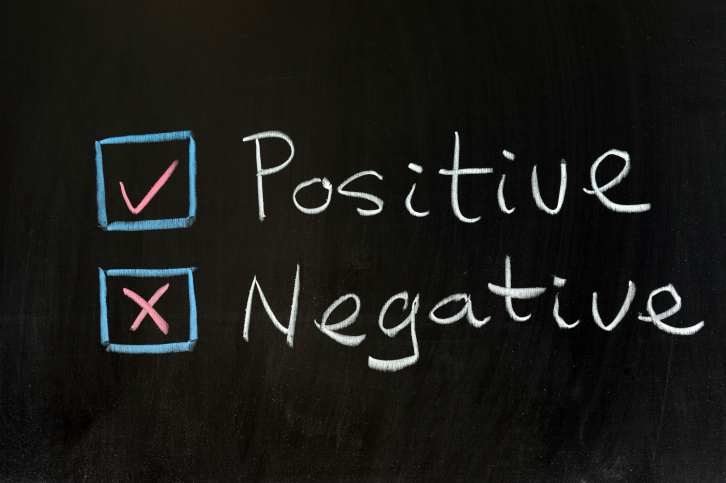 Positive statements (support, optimism, appreciation) versus negative statements (disapproval, sarcasm, cynicism). Self-focused statements (refer to the person speaking, the group present, or the company) versus other-focused statements (references to a person or group not part of the company). Inquiry (questions aimed at exploring an idea) versus advocacy (arguments in favor of their own point of view). Losada also measured something he called connectivity or how attuned or responsive the team members were to each other. Finally he gathered data on three dependent variables: profitability, customer satisfaction, and evaluations by superiors, peers and subordinates. In the study, positive to negative ratio (P/N) was measured by counting the instances of positive feedback (e.g. “that is a good idea”) vs. negative feedback (e.g. “this is not what I expected; I am disappointed”). Overall, high performance teams had a P/N ratio of 5.6, medium performance teams a P/N of 1.9 and low performance teams a P/N of 0.36 (more negative than positive). Taken together, it seems that the secret to individual and team health and productivity might be as simple as accentuating the positive to negative ratio of emotions and behaviors and being aware of when our own self-talk and expressions seem tilted in the wrong direction. I will have to ask my wife, who is registered dietitian, if this ratio also applies to healthy eating….Be well….